Including Parakeets, African Greys and Amazons. Parrots make interesting and enjoyable pets. However, a single caged bird will require a lot of attention and stimulus if it is not to become bored and frustrated. The normal colour is grey but there are variations such as white, cinnamon, pied, silver or lutino (pale yellow). Parrots are natural acrobats and mimics, they can learn simple words and phrases and are excellent whistlers. Many parrots have a long lifespan and are therefore a long term commitment. Have no signs of discharge from eyes or nostrils. Although parrot cages make suitable homes for short-tailed parrots, long-tailed varieties should be kept in an outside aviary or an indoor flight, as can short-tailed parrots. 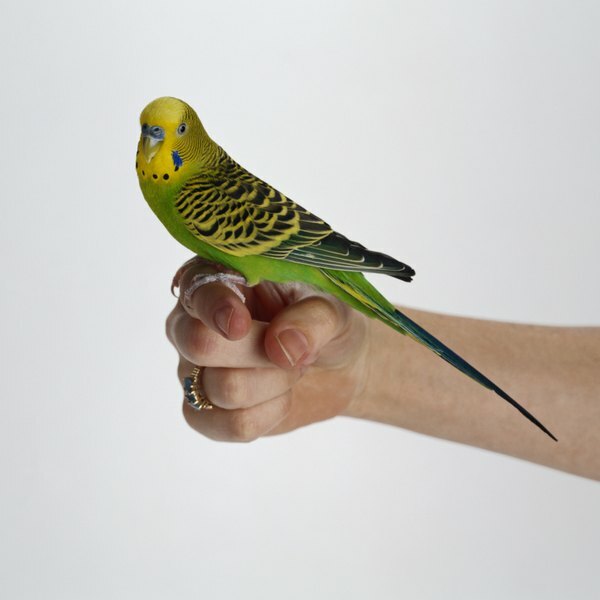 A single caged bird will require a lot of attention and stimulus if it is not to become bored and frustrated (a common cause of feather plucking). If the bird is to be left on its own for long periods, it is better to give it a companion. Love birds should always be kept in pairs or small groups. A roomy cage is a necessity unless housed in an aviary and must be large enough for your parrot to stretch his wings and fly from perch to perch. Parrots are climbing birds so it is preferable to choose a cage with horizontal bars. A removable tray will make cleaning easier. The cage should be furnished with perches of different diameter and one or two toys, but do not overcrowd the cage. Try and buy a selection of toys and rotate them to avoid boredom. Remove droppings daily. The cage and furnishings should be thoroughly cleaned and disinfected with a pet-safe disinfectant weekly. Outside aviaries must have a sheltered section to provide protection from wind, rain and strong sunlight. This is where you should position the roosting site (the highest perch or nest box) and the food containers. Aviaries should be suitably furnished with branches of different widths. Do not place perches directly above food and water pots. The cage/aviary can be furnished with non-poisonous wood branches such as fruit wood which will add interest and aid with keeping the beak short. Before introducing your parrot to is new home, fill the food and water pots and sprinkle a little extra onto the floor to ensure that he has enough to eat until he finds his seed pots. Make sure all windows and doors are closed and fires are guarded. Gently open one end of the carry box and let your parrot walk into his new home. If he appears anxious or does not settle, drape a cloth over three sides of the cage until he settles. This can then be gradually removed. Leave him to adjust quietly. Only cover the cage at night if the room temperature is likely to fall. It is important to give your parrot a varied diet. Each day you should offer food from the following categories. Cereals: A good quality parrot mixture is available from your pet shop. Check the seed dishes daily and remove any empty husks. Fruits: Apples, bananas, oranges, grapes, pears, cherries. Vegetables: Celery, carrots, beetroot, lettuce, cabbage, spinach, fresh peas and beans. Supplements: Cuttlefish is a source of calcium and helps to keep the beak worn down. A mineral block will provide essential minerals and trace elements. Vitamin drops should be added to the water. Millet seed can be given as a treat, as can honey bells and seed bars. Fresh foods must be thoroughly washed before being offered. Food and water pots should be washed regularly. Early signs of illness in parrots include loose droppings, discharge from the nostrils, laboured breathing, feathers raised to give a puffed up appearance, resting with head under wing and both feet on the perch. If you are at all worried about your parrot’s health, contact your vet. Feathers: These should not be allowed to become too dry. You should use a suitable fine mist spray, together with a special solution to spray on. Your pet shop will advise. Some, but not all, parrots enjoy a bath. Colds: Chilling causes colds. The bird will be listless, with feathers fluffed up and wheezing. Keep him warm and do not bath. Consult with your vet. Diarrhoea: This is commonly caused by an excess of green food, mouldy or contaminated food, a change in diet or a lack of fresh water. Keep him warm, make sure he has plenty of water and consult your vet. Mites: Usually the red mite, this is a parasite that feeds on birds’ blood, will cause itching and weight loss. Mites are easy to destroy with a suitable spray. Your pet shop or vet will advise. Beaks and Nails: Should they become overgrown, you will need to seek expert help. Feather Plucking: This can be due to a poor diet, lack of exercise or stimulation. Spend time with your parrot and provide novel toys. If the condition persists, consult your vet.